Kwazar Corporation Sp. z o.o. is one of the leading plastics processors and manufacturer of sprayers in Poland. Machine park, which gives enormous productive capabilities, makes Kwazar not only a producer of its own products, but a plastics processing platform with tremendous potential. Thanks to its extensive distribution network, the products manufactured under Kwazar brand reach about 100 countries globally today, including Algeria, England, Austria, Belarus, Bulgaria, Czech Republic, Denmark, Arab Emirates, Estonia, France, Spain, Netherlands, Canada, Columbia, South Korea, Lithuania, Latvia, Mexico, Madagascar, Germany, Russia, Romania, Serbia, Slovakia, Sweden, Ukraine, as well as USA and Italy. Machine park, which gives enormous production capacity, makes Kwazar Corporation Sp. o.o. is not only production of own products, but a platform of plastics processing with huge possibilities. The company currently executes many individual orders, both for the domestic market and for foreign markets. In the production process we pay special attention to quality and production technology. Thanks to well-designed and very detailed quality control procedures, we are confident that the market will find products that will satisfy even the most demanding customer. 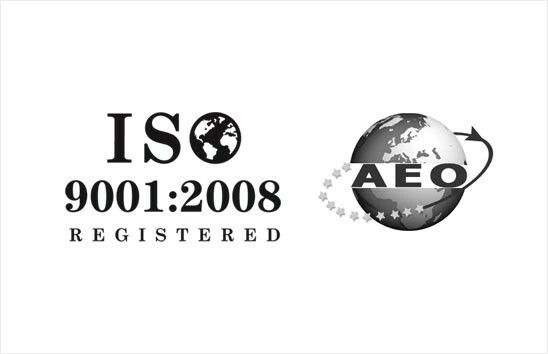 The quality of our products is confirmed by the ISO 9001: 2008 certificate, but above all, it is widely acknowledged by our customers all over the world. The beginning of the company dates back to 1989. Then, Michał Łosiak opened and started the plastics processing plant - Kwazar Corporation. The company was founded in Jaktorów, where today the company is located. Shortly after launching, the first sprayer model was designed. It was prototype of Orion Super sprayer with a capacity of 6 liters - is currently the most popular product in our offer and the best selling sprayer in Poland. In the middle of 90s the production of plastic snow and universal shovels was started. As the company portfolio kept extending, it became necessary to develop our machine park, which allowed for the further development of garden sprayers series. Mercury and Venus sprayers were developed, the first knapsack Neptune sprayers was constructed and Orion sprayers with different capacities were introduced to the market. The first electric sprayer Zeus (today Neptune EL) was developed. It was also the first such product manufactured entirely in Poland. Kwazar garden sprayers shortly became so universal tools that they quickly became applicable in food industry, aviation and military industry, healthcare, fire services, fishing, catering, cleaning and forestry. Kwazar company’s response to the market needs was equally immediate. Following the garden sprayers design, PRO+ sprayers series with Viton seals intended for work with harsh chemicals were created. Development of the machine park and specialization in plastics processing by blow molding method also allowed for the production of large-sized items. Thanks to this, Kwazar has started production of road safety equipment. Expansion into foreign markets resulted in the establishment of Kwazar company in Russia - Kwazar Russia. Expansion into foreign markets led to the establishment of Kwazar in United Kingdom, based in Birmingham. Heavy Duty series of high chemical resistance was developed - acid line, alka line and solvent line for use with acidic, alkaline and solvent formulations.